Are you still stuck at the same number you have been at for the last year on the overhead press? If so, you’re not alone. Many lifters struggle with the overhead press, and it’s well known that overhead press gains come much more slowly than gains from deadlifts and squats. Although it looks pretty primitive, overhead pressing is a demanding movement that takes plenty of time and effort to be truly mastered in terms of technical precision (which is super important once the weight starts getting heavy! ), and since it’s one of the essential exercises for building maximally strong shoulders and arms, you can’t afford the luxury to ignore it. In fact, if you’re looking to build an impressive upper body, you should be working the press hard at least once a week. But what about that nasty sticking point? Here are six tips that will help you immediately improve your performance and finally unlock the full package of benefits this powerful exercise has to offer. 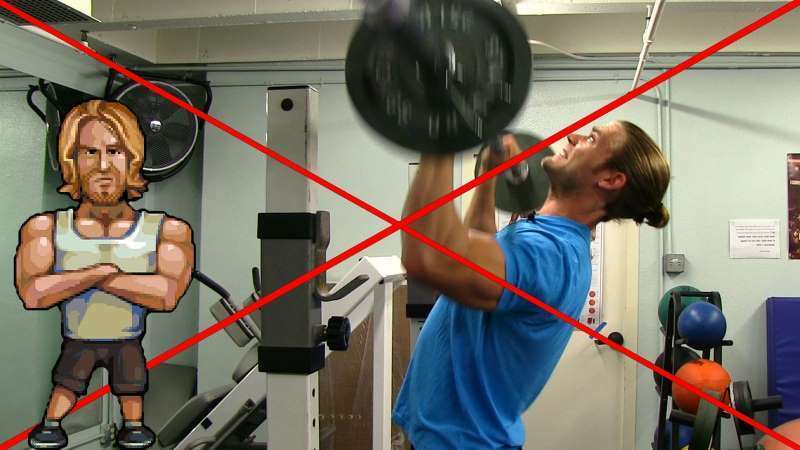 Although it primarily trains your delts, biceps and triceps, referring to the overhead press as a strictly upper body move is way too simplistic. As your shoulders and arms press the weight over your head, your legs, lower back and core muscles work to keep your body stable. 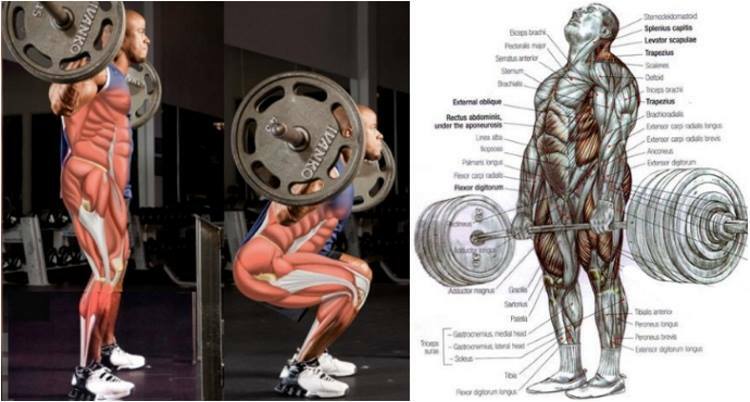 Yet lower body tightness is an often overlooked element of overhead pressing, which puts lifters at a higher risk of injury. If your glutes are loose, your lower back is more likely to move into an overarched position, leaving room for the force of the weight that’s coming right down on it to cause serious back pain. In addition, arching the back is a cheater’s way to lift the weight up, which significantly reduces the effectiveness of the exercise. If you want to see your strength increase in an almost magical way, bring your lower body into the equation and ensure you have a stable base for the lift – push your hips forward and squeeze your glutes as hard as you can and keep them squeezed throughout the entire movement. Keeping the head back is one of the most common mistakes people make while doing overhead presses, as it throws the body out of its alignment and makes the exercise awkward, uncomfortable and even unsafe. 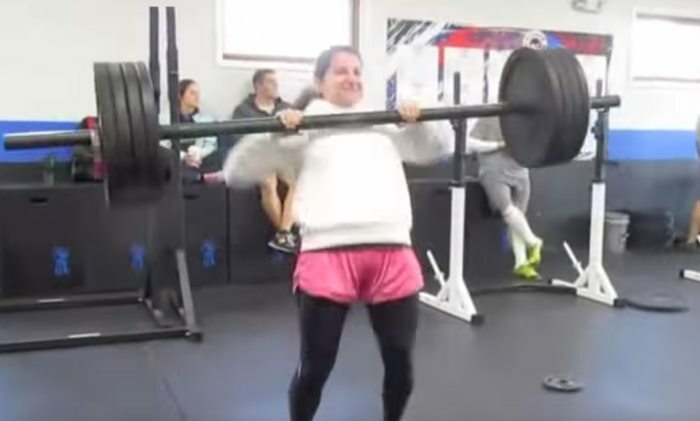 Instead of struggling to keep your head back, as soon as the barbell clears your face, slightly push your head forward so that you can get directly underneath the load, which will help you gain an important mechanical advantage and make the movement pattern more natural and more effective. Make sure that your head stays in line with the rest of your spine throughout the entire lift. If you do it right, the bar will end over your shoulders and ears at lockout. Look straight ahead – don’t look at the ceiling or the bar and avoid tilting your head to the side. This is perhaps the most important step you can take to ensure both maximum safety and maximum strength while overhead pressing. Holding a heavy barbell directly over your head is a serious task that employs every fiber in your core musculature to prevent you from collapsing under the bar. Since your core muscles are responsible for stabilizing your body while you overhead press, they need to be maximally tight, just like the glutes. A tight core will keep your spine properly aligned and provide support for the lower back, thereby creating a solid, strong base as you lift the weight. This will in turn make it easier to transfer the force into your shoulders and arms, resulting with improved performance. Don’t forget: overhead pressing with a loose core is a surefire way to fail or/and get injured. Instead of letting that happen, use your pressing sessions to train your core muscles to do their job even better. Some guys do overhead presses with the same wide grip they use on the bench press. By the way, those are usually the same guys who regularly complain about shoulder pain after each heavy pressing session. Why? Because a too wide grip causes the elbows to flare excessively, placing undue stress on the shoulder joint. And as you’ve probably noticed, the shoulder is a very complex and equally vulnerable joint that needs to be kept optimally healthy. Shoulder injuries are often hard to treat and slow to heal, and can have life-long consequences, not to mention that they can seriously stall or end your lifting career before you even know it. 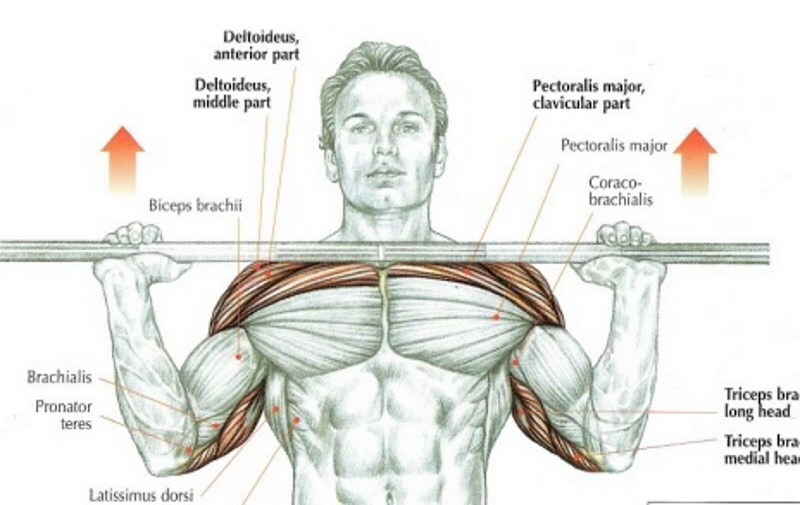 For a proper overhead press, your hands should be just outside your shoulders with your forearms vertical to the floor. Tuck your elbows down to keep your shoulder girdle in the strongest position to help you push the weight upward. Yeah, we get that you already have enough on your plate with trying to keep your back neutral, glutes and core tight, elbows tucked in, head under the bar… but if you want to take your overhead press to where it should be, there’s another crucial thing you need to keep in check, and that’s your wrist position. Believe it or not, even a slight bend at the wrists can mess up your alignment and reduce the amount of generated force, making the lift ineffective and painful. Keep your wrists almost straight with your knuckles about 75 degrees back, so that the bar is over your forearm bones. If you find it too hard to maintain this position, seemingly unable to prevent bending your wrists, work on improving your wrist strength by adding wrist curls to your routine. The overhead press isn’t the kind of exercise you should throw in at every other gym session in the hope of a faster progress – it’s pretty damn intense and stressful for the shoulder joints and lower back, so you should only perform it every few weeks. And if your form is anything less than proper, it would be wise to take a break from it and use alternative movements to work on your weakest areas so that you can come back stronger and power through that plateau that’s been bugging you for so long. Good substitutes that will ensure continuous results include the dumbbell shoulder press, the seated shoulder press and the Arnold press. Good luck and keep it tight!